This wheel is a 2 section wheel, that is its twice as thick as our regular wheels. Sisal is a slender, hard, cellular strand of fiber that has demonstrated its great strength and tough resiliency in the form of binder twine, cord & rope for many years. These qualities, along with its natural abrading and grease absorbing characteristics, provide an ideal buffing wheel fabric. Sisal buffing wheels will provide both polishing and cutting action. 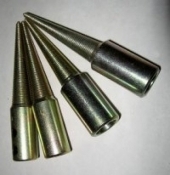 They will remove stretcher strains, orange peel, polishing wheel grit lines, light die marks, etc. 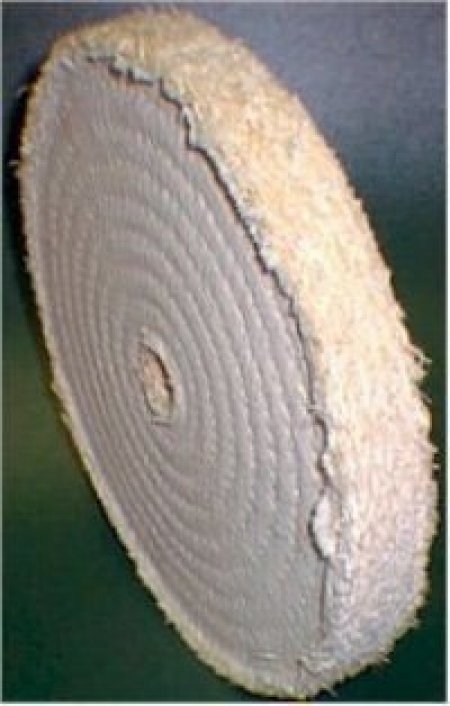 To effect a fast cut, use a sisal wheel with the Black Emery compound. These buffs are now AUSTRALIAN MADE, and now have more stitching and a firmer Sisal Wheel, giving you a longer life wheel. Available with both hard center hole for tapered buffing spindle, or traditional straight hole for clamp style applications. Extra Small 3" x 1/2"